Let app change the way you organize your personal and professional projects. Dive in: take notes, create to-do lists, and save things you find online into app. We’ll sync everything between your phone, tablet, and computer automatically. 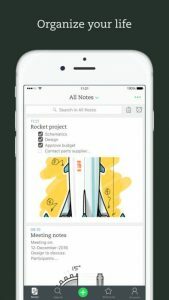 EVERNOTE PLUS – More space. More devices. More freedom.